11. Labs Kita...Okey Ka Lang? 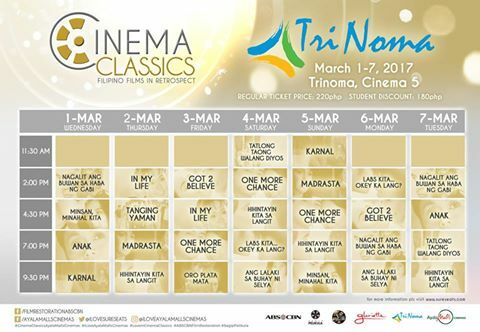 Tickets will cost P220, with a discounted rate of P180 for students. 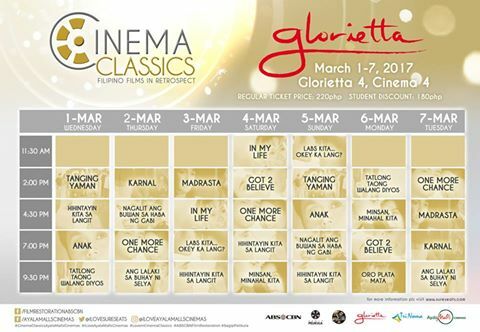 Check out Ayala Malls Cinemas’ www.sureseats.com for the latest updates and schedules of the classics.